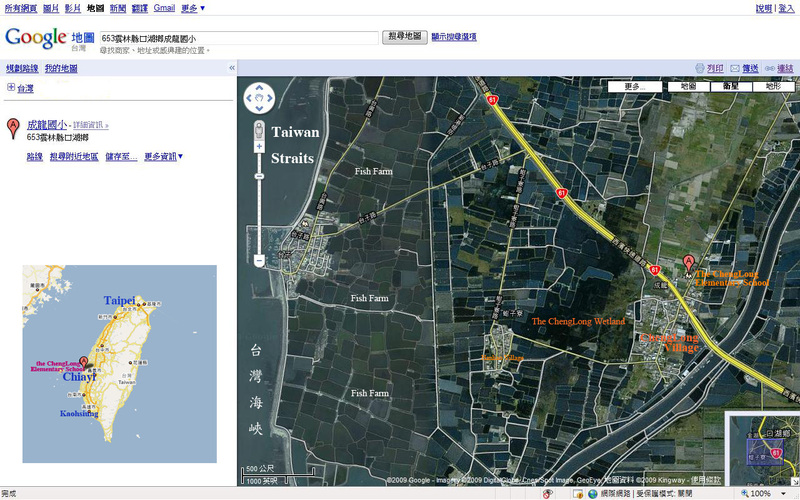 Here is a map that shows you the ChengLong Village, the wetland and the school. Also, a film from bird’s eye view. what families do these kids belong to ?what is the main occupation of their parents? I would like to know if there is an out door play are for the kids which is not just a play ground? Hello, Shilpa, thanks for your questions. Most of the kids here live with their parents and grandparents. Kaohu county is one of the main Aquaculture Stie in Taiwan, so the job of the adults here are all related to aquaculture, from working in the pond to fish/ clam/oyster packing. Some parents work in other city or county, they might only come back on weekends or long holidays. You might have found on the map that nearly all the land is used for aquaculture. Therefore, the only two “safe” sites for children to play are school playground and the square in front of the temple. Just wanted to say a huge thankyou once again for allowing us to be part of your wonderful project for a day. It had an impact on all of us and it has been great to follow and see the art completed. Hello, Peter, Sonya, Duncan and Briony: you are the most welcome!!! Children are still asking me where will you come back. I think that you give them a very good culture exchange experience as well. Welcome to visit ChengLong again anytime!